eCommerce is changing the way brands sell their products, pushing companies to reassess what defines the most effective packaging design. To incentivize purchase, CPG and food/beverage brands must adapt packaging design to reflect the reality of how people shop both online and off. Changes, such as larger digital hero images (i.e., Unilever’s TRESemmé shampoo hero adapted for Amazon ordering) and a rejiggering of how package sizing is displayed on-pack, respond to how consumers shop online. New packaging shapes and materials are adaptations to ensure consumers receive a whole product, minus any spills or crushed bits, when shipped to homes. For example, P&G is pioneering a new box for its Tide Liquid Detergent. When considering new eCommerce packaging solutions, it’s worth looking at the trends in the new retail landscape. Nearly half of all Americans purchase groceries online, doubling from 23% in just over a year. But only 2.5% of food and beverage sales is expected be online in 2019. Perhaps recognizing this disconnect, Amazon purchased Whole Foods in 2017 and is pushing to open cashier-less Go convenience stores to capture the other 98% of grocery sales, IRL. The best brand packaging design must seamlessly bridge sales where they are occurring, whether online or offline. CPG and food and beverage brands should continue to cultivate relationships with consumers when considering their packaging designs. Heidi Reale, president of the marketing and communications firm SparkShoppe!, recommends products make an emotional connection with the consumer. “The price elasticity of demand doesn’t play in if you can create an emotional connection with the people you do business with, your customers. So if you can create that emotional connection, it’s worth a lot more than trying to get to the bottom of the barrel with price,” Reale said in an interview with storebrands.com. Poultry brands have heard the call, taking action on-pack and with new pack design to create an improved customer experience. The UK’s Sainsbury leads the re-design charge, developing a doypack (a sealed plastic bag designed to stand upright) into which raw chicken is packaged. The no-drip pack zips open and the poultry slips directly into the pan without human contact, a plus for many consumers. Foster Farms redesigned their on-pack messaging for Fresh and Natural, Simply Raised and Organic lines to include “DORI,” a scannable QR code virtual assistant loaded with recipes, exclusive coupons, and labeling terms and descriptions. JustBARE, a brand under the Pilgrim’s umbrella, includes an on-pack traceability code unique to each package. Consumers are guided to the website to enter the code and discover where and how the poultry in their package was raised. The impact of packaging doesn’t end when shoppers add the product to their digital or real shopping carts. 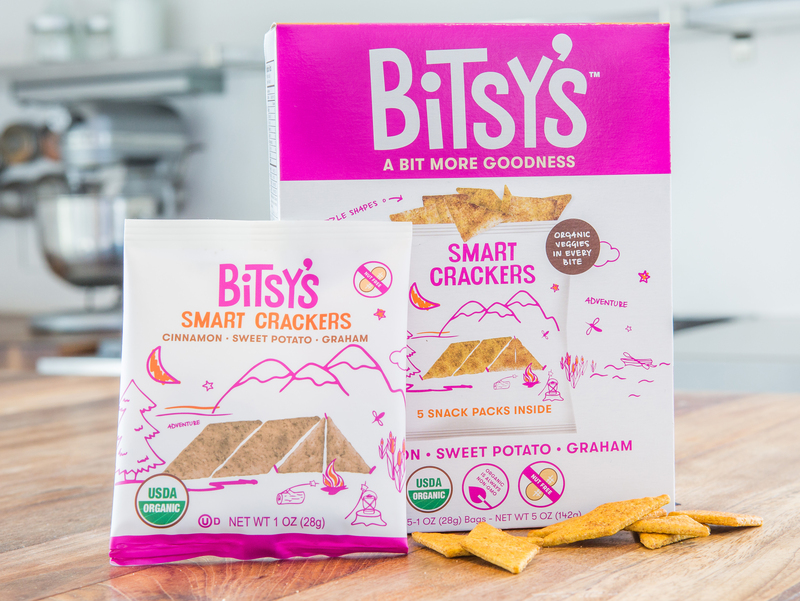 The product lives in their homes for a few days or a few weeks, and smartly designed packaging can continue to help the brand forge an emotional connection for the duration of that lifetime. To thrive in this divided world of shopping, your brand must earn a seat at the table. The relationship doesn’t end at the shopping cart. Your brand’s packaging can provide a gateway for consumers to learn more about your product and brand. Are you delivering information about ingredient sourcing, sustainability and the supply chain? Recipes? Nutrition? Social purpose? Make your package smarter and more integrated to move your customer from package to web or social. As the social and environmental impacts of waste move closer to the center of consumers’ value perception, can your packaging be designed to serve another function? Does your consumer value a reusable or upcycled package? Including a bit of whimsy or humor or other brand-specific touches can engage a potential customer for a moment or a lifetime. New packaging materials and finishes can add a tactile component to offline shopping that is often overlooked when designing for eCommerce. As consumer perceptions and needs change, grocery shopping is shifting to include both online and offline in a different way than just a year or two ago. Brands must consider on-pack messaging and design and new packaging materials to prime the product for purchase. Your customer will not always order online. It can look great online but it has to also perform on-shelf and at home.